I had to give everyone a update about Jill Knapp the lady I did an interview other the summer. 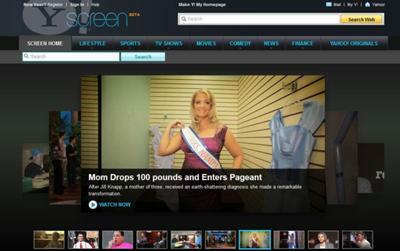 Yahoo picked her to be featured in a Second Act" Video... Here is the link to watch it on. I was on facebook and a friend had posted this to her wall. I saw it and thought is that Jill. Watched it and sure enough. She is still 100 pounds down going strong with her advocacy work. I can tell by following up on Jill I know where she will be a year from now. In a really good place. I also found a Facebook page for her where tips are giving. Also she has answered me via her web site many times and I am sure she will do the same for you if you have any questions for her.